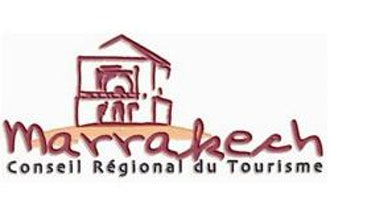 Marrakech is currently the leading city in Morocco with the largest number of hotels. In this previous decade hotels have tripled which is amazing news for all international planners that are searching for unique, glamorous and innovative destinations. As for the adventurous visitors, a whole new and exciting range of accommodation is offered and various adventurous activities are proposed, you merely have to choose the one you’ll enjoy. The gorgeous Mamounia reopened after going through a major renovation realised by the international designer Jacques Garcia. With its 27,000 sq. ft Spa and it’s antique 200-year-old gardens, Mamounia offers 136 stellar guest rooms and 71 suits all ready and set to satisfy its costumers. Le Royal Mansour is certainly a unique place in anyone’s eyes. A gorgeous collection of traditional and luxurious Moroccan houses also referred to as “Riads” that consist of 53 riads next to each other to create a wonderful 78 bedroom collection, and a 2500 sq. meter hammam and spa. And to add a little subtlety to it, the staff use tunnels underneath the complex. A truly enchanting hotel that will absolutely take your breath away is the magical “ Hotel & Ryad Naoura Barriere” this architectural masterpiece is over 2 hectares all in a joy inducing oriental garden surrounded by white flowers. What gives this wonderful hotel an additional charm is it being near the famous Jemaa El Fna. The magical hotel has 26 Riads and 85 suits, as well as The Nuphar bar lounge and the U SPA to get cared for and relaxed. This amazing establishment also has a heated outdoor pool with a Terrace and a solarium and Kid’s club. A fitness centre for people who are committed to fitness and a hairdresser for everyone who’s committed to staying lovely and of course Meeting rooms and breakout rooms. 29 rooms and suits, 10 amazing villas and two prestigious palaces. This jewel of a hotel is filled with pools and fully matured floral cascades that took time to look beautiful. Palais Namaskar is the first african property of the same group that own Le Bristol in Paris and the Hotel du Cap-Eden-roc near Antibes. The rooms are large and extremely private and the dining terrace overlooks the lovely scene of the main pool; private pools come with the astonishing villas. The spa and fitness centre are also a service this wonderful hotel offers. 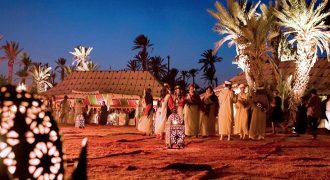 Explore the culturally rich Jemaa El Fna with snake tamers and charmers and camel hires, this wonderful place will make you feel beyond joyous. A tour guide will be offered to make sure you’re having the best time and to oversee your transactions to make sure not to over-pay for sold items. For an added excitement, a treasure hunt can be organised with teams and group guides. Al Baraka restaurant is located in the heart of Jemaa El Fna square, in this Moroccan restaurant you will learn how to make filo pastry from scratch in a traditional way, after all what’s Morocco without its delicious and traditional food. At the same place you will enjoy your succulent lunch and enjoy the wonderful mood of Marrakech. The best opportunity you could have to experience the high Atlas Mountains up close, such a stunning scenery that you will definitely enjoy. How this trip goes on is pretty much up to you, you will make refreshment stops at drink stations and can set up a treasure hunt at the appropriate areas. You posses the option to use a driver and guide in each vehicle with 4 guests. 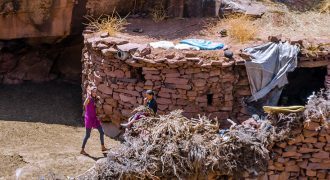 This amazing journey will lead you to the beaten but gorgeous path right off to the centre of Berber country. Morocco has it’s own version of Bowling and Polo, Berber bowling and Donkey Polo!, this centre offers the best location for a traditional activity, you will also have the chance to acquire new skills such as rug making. This could be used as a part of the 4×4 activity or any similar activity. For the adventurous souls out there, there are more daring activities such as terrifying walk ways and zip lines for the ultimate adventure. 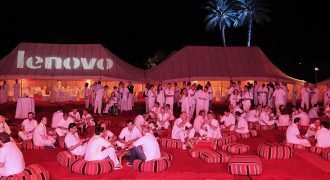 Once again this venues’ path can be altered as you wish, you can even have your own personal lunch and dinner venue. All of this is set within the gorgeous scenery of the high Atlas Mountains. You even have the option to wake up in the mountains if you wish to do so, amazing and simple accommodation are offered by this venue. Quality golf courses are increasing in number and are often kept as an important part of any hotel’s complex. Usually you must have a handicap to be able to play golf. However, Travel Design does offer the opportunity to negotiate for your group in order to have a wonderful time playing. This place being the desert means that you have a lot of space to play with and give your ideas life! and an additional fun feature is that there are no volume restrictions, after all there aren’t any complaining neighbours. By setting up a luxurious camp you’ll have an enhanced experience so as to you have a chance to spend a lovely night under the starlit skies in the desert.